This report provides a general summary of the LPN data collected by the Ohio Board of Nursing during the 2016 LPN renewal period. This workforce data was collected from July 1, 2016 to October 31, 2016. The Board collected RN and LPN workforce data in 2013 and 2014 respectively. The raw data and summary reports are available to stakeholders and the public on this web site. Using Ohio’s nursing workforce data and the national data released by HRSA, Board staff developed the “Nursing Workforce Data Report: Comparison of State and National Data." This report provides a general summary of the RN data collected by the Ohio Board of Nursing during the 2015 RN renewal period. Because APRNs must be licensed as RNs, this report includes data reported by those RNs who are also certified as APRNs. There is a separate summary report that provides the same data for APRNs only. This workforce data was collected from May to August 31, 2015. The Board collected comprehensive workforce data for licensed practical nurses (LPNs) during the 2014 renewal cycle that ended on August 31, 2014. The response rate was 100% since online renewal was mandatory this year. The Institute of Medicine (IOM) report, “The Future of Nursing: Leading Change, Advancing Health,” identified data collection as a vital component for health care planning and policymaking. The Board is aware of the importance of data for effective workforce planning and policymaking in Ohio. The Board is making the Report and raw data directly available to licensees, interested parties, and the public at www.nursing.ohio.gov. The raw data provides the added ability for anyone interested to search the numbers in different ways and combinations. The Board again wants to thank Ohio nurses for answering the important workforce questions included in this year’s renewal process. Your assistance will positively impact the profession of nursing and the health of Ohioans. The Board recently collected comprehensive workforce data for registered nurses (RNs) and advanced practice registered nurses (APRNs) during the 2013 renewal cycle that just ended on August 31st. The response rate was over 97% of RNs with an active Ohio license or nearly 170,000 nursing licensees. The Institute of Medicine (IOM) report, “The Future of Nursing: Leading Change, Advancing Health,” identified data collection as a vital component for health care planning and policymaking. The data questions are based on the nursing Minimum Data Set (Colleagues in Caring Project), core data questions developed by the HRSA National Center for Health Workforce Analysis, and the joint 2013 survey conducted by the National Forum of State Nursing Workforce Centers and the National Council of State Boards of Nursing (NCSBN). This analysis of the 2014 licensure renewal data was supported by funds from the State Implementation Program (SIP) of the Ohio Action Coalition funded by the Robert Wood Johnson Foundation. This analysis of the 2013 licensure renewal data was supported by funds from the State Implementation Program (SIP) of the Ohio Action Coalition funded by the Robert Wood Johnson Foundation.
" New Approaches for Delivering Primary Care Could Reduce Predicted Physician Shortage"
The Ohio Board of Nursing completed an extensive survey of Ohio’s nurses in 2003 - 2004. This survey was undertaken in an effort to obtain accurate, up-to-date information about the nursing workforce in Ohio. In August of 2003 a survey was mailed to each of the 185,000 people holding an active nursing license in Ohio. Nearly 96,000 completed surveys were returned by December, 2003. The high return rate (53%) is very good for survey-type research and indicates a high level of professional commitment on the part of Ohio’s nurses. Abstract: Twenty-six hospitals in six counties – Ashtabula, Cuyahoga, Lake, Lorain, Medina and Summit – participated in a survey by the Northeast Ohio Nursing Initiative (NEONI) on nurse staffing. Survey responses are based on 2004 data. This report presents projections of supply of and demand for registered nurses (RNs) and licensed practical/vocational nurses (LPNs) in 2030, with 2014 serving as the base year. These projections highlight the inequitable distribution of the nursing workforce across the United States, as recent research1,2 shows that nursing workforce represents a greater problem with distribution across states than magnitude at the national level. Projections were developed using the Model (HWSM). For the first time, the number of students graduating with a bachelor of science in nursing (BSN) degree exceeded those graduating with an associate’s degree (ADN), according to a study led by health care economist Peter Buerhaus. Using data from the Integrated Postsecondary Education Data System (IPEDS), a system of interrelated government surveys, researchers found that beginning in 1984, the number of BSN and ADN graduates moved in the same direction and remained relatively stable until 2002, and then changed significantly from 2002 through 2012. The number of ADN graduates exceeded the number of BSN graduates over this entire period until 2011, when the number of BSN graduates exceeded the number of ADN graduates for the first time. The Department of Health and Human Services (HHS) has proposed a package of workforce policies that builds on the successes of the Affordable Care Act by making strategic investments in the nation’s health care workforce to improve the delivery of health care across the country. This report is similar to the general approach in the Clinical Specialty Supply Model (CSSDM) developed by the National Center for Health Workforce Analysis, of the Heath Resources and Services Administration (HRSA), in the U.S. Department of Health and Human Services (HHS). In addition, since only 70 percent of licensed nursing professionals work in nursing, we estimated the annual probability of nursing professionals changing careers and added that to attrition. HRSA’s primary mission is to help ensure access to care for all Americans. One key component of this mission is to strengthen the health workforce—making sure we have an adequate supply and distribution of well-prepared health workers to meet the nation’s health care needs. A diverse workforce is vitally important to ensuring our nation has accessible, affordable, and quality health care. The U.S. Health Workforce - State Profiles (State Profiles) complements the U.S. Health Workforce Chartbook (Chartbook) by providing state-level data for each of the 35 health occupations included in the Chartbook. The data in the State Profiles correspond to Chartbook information on number of graduates in each profession, total number of providers, and number per capita. The Chartbook and State Profiles were developed as part of the Health Resources and Services Administration’s effort to make data on the U.S. health workforce more readily available to diverse users. Nurse practitioners play a critical role in extending access to health care by providing a ange of primary and specialty care services. The Health Resources and Services Administration (HRSA) conducted the 2012 National Sample Survey of Nurse Practitioners to provide accurate national estimates of the nurse practitioner workforce and to profile their education, certification, and practice patterns. HRSA: "Projecting the Supply and Demand for Primary Care Practitioners Through 2020"
This study examines the adequacy of the future supply of primary care practitioners (PCPs) to meet the future demand for primary care services. Data on supply and demand for primary care services in 2010, with demand adjusted for physician shortages in Health Professional Shortage Areas (HPSAs), are used as a baseline to project supply and demand in 2020 for physicians, nurse practitioners (NPs), and physician assistants (PAs). The model assumes continuation of key trends in service utilization, practitioner practice patterns, and practitioner production. The model also accounts for aging and population growth and the expansion of coverage under the Affordable Care Act. The impact of the Affordable Care Act is modeled under the assumption that all states expand Medicaid. Therefore, the numbers reported here overestimate demand for primary care services until such time as all states fully implement the Affordable Care Act. Projections of demand for each type of practitioner are based on how they are currently deployed to provide services. HRSA: "The U.S. Health Workforce Chartbook"
The U.S. Health Workforce Chartbook presents extensive data on 35 U.S. health occupations. Data in the Chartbook includes estimates on the number of individuals working in each occupation, demographic data on these workers, their work setting, the distribution of each occupation across states, and information on the number of graduates in 2010 when applicable. The Chartbook and its accompanying documents primarily rely on federal data sources including the U.S. Census Bureau’s American Community Survey (ACS) and the U.S. Department of Education’s National Center for Education Statistics Integrated Postsecondary Education Data System (IPEDS). Data from HRSA’s Area Health Resources Files (AHRF) are also used. HRSA: "The U.S. Nursing Workforce - Trends in Supply and Education Report"
Understanding the supply and distribution of nurses is key to ensuring access to care and an effective health care system. 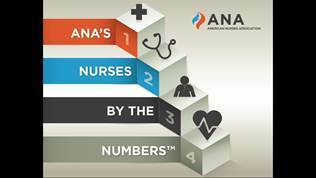 This report presents data on the supply, distribution, and education/pipeline of the U.S. nursing workforce. The data come from a variety of sources and present recent trends and the current status of the registered nurse (RN) and licensed practical/vocational (LPN) workforces. The report is intended to be used by national and state workforce planners, as well as educators, researchers, and policy makers. The Center for Health Affairs': "Seeking a Remedy: Growing Need for Nurses Requires a Collaborative Approach"
Abstract: As the largest sector of the healthcare workforce, nurses represent a key component of an effective healthcare delivery system. Yet the ability of the healthcare system to perform at peak capacity is threatened by a looming shortage of nurses that is expected to intensify in the future. Addressing the issue encompasses not just increasing the number of nurses in the workforce, but also ensur¬ing sufficient faculty are available to train nursing students. Written by Kirstin Craciun, Public Policy Development Manager, and Michele Egan, Vice President Corporate Communications, The Center for Health Affairs. Article (Sep 2004) - What is Behind HRSA’S Projected Supply, and Demand of Registered Nurses? Document Availability: All documents on this web site are in PDF format unless otherwise noted. They may be downloaded and viewed using the Adobe Acrobat reader. The free Adobe Acrobat Reader can be downloaded from Adobe.Com. Content Disclaimer: The material and web site links contained here are for informational purposes only, and do not constitute an endorsement or sponsorship of the originating individual or organization.